Round a given number to the nearest ten and/or nearest hundred. Given a rounded number, determine what the original value could have been. For a given number, name the two multiples of ten and/or the two multiples of one hundred that it falls between. Common Core State Assessment - Gizmo Resource for Grade 3. Contains sample question stems, various respon... (more)se mechanism types, and Gizmo suggestions for teacher and student use. Great for the visual learners! Love this Gizmo! I use the first two pages at first for rounding to the nearest 10, and then follow with nearest 100. The kids love it! Have you worked with Gizmos? 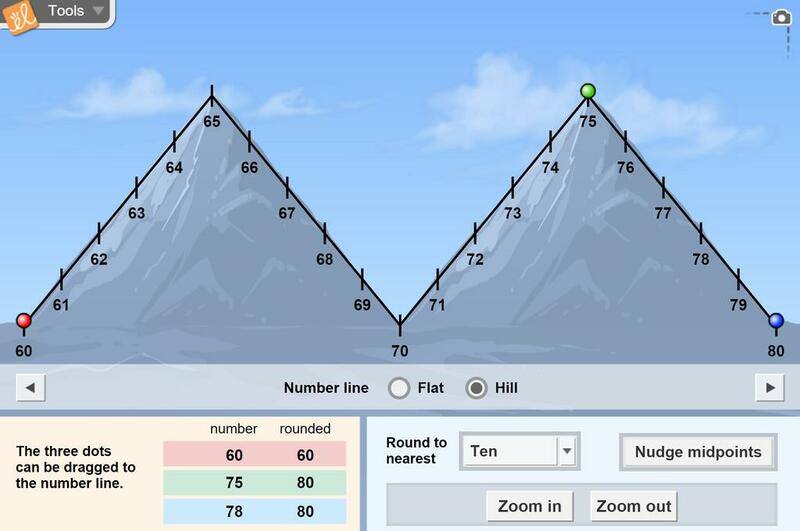 This is great for rounding.